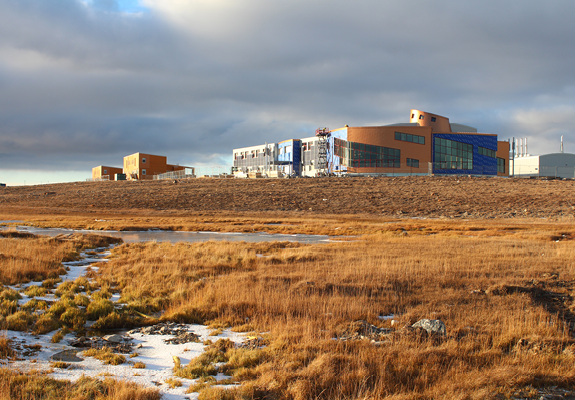 The Canadian High Arctic Research Station (CHARS) was built in Ikaluktutiak (Cambridge Bay), Nunavut, as part of Canada’s Northern Strategy. The facility is a world-class Arctic research station, demonstrating state-of-the-art design excellence that serves as a model for similar polar facilities around the world. 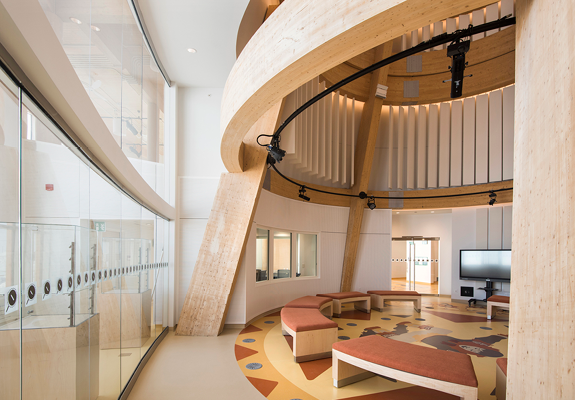 The CHARS brings science and technology and traditional Inuit knowledge together under one roof. The architecture of the station reﬂects and makes possible this new paradigm. EVOQ designed the 7,888m² CHARS campus in joint venture with NFOE. The two-storey Main Building covers 4,800m² and it houses cutting-edge laboratories and public spaces such as a multi-use knowledge-sharing area, food services and a winter garden. The Campus also includes a Field and Maintenance Building and residences for researchers. 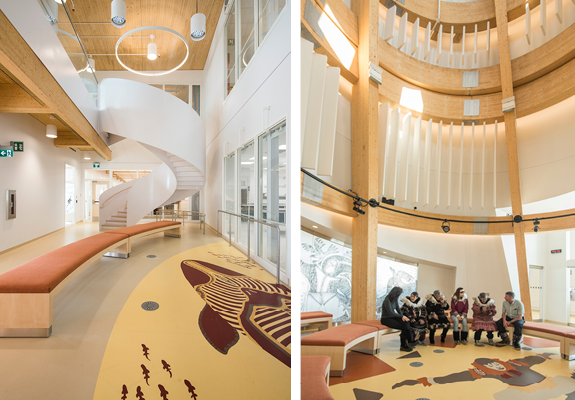 While CHARS will make an international statement on Canadian research in the Arctic, it will also be an architectural representation of Inuit culture to ensure full integration into the community. Both the process leading to the design and the design of the station itself are derived from a number of Inuit Qaujimajatuqangit (IQ) principles “that which has always been known”. The Inuit planning principle of free, open, interconnected spaces is used in the layout of the public spaces. The circular shaped qalgiq (traditional communal igloo) used inside and outside, takes on both a physical and symbolic presence. 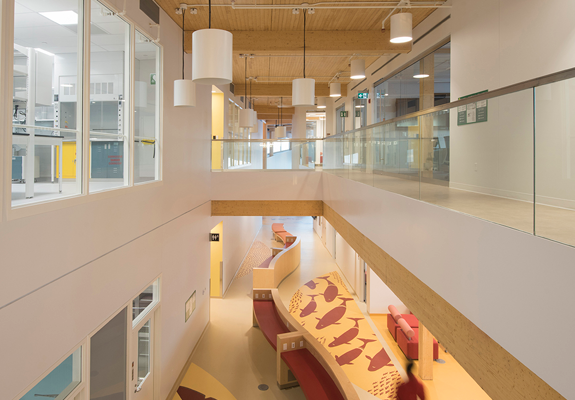 The exposed wood structure conveys the ingenuity of the many Inuit designed, stick built assemblies. 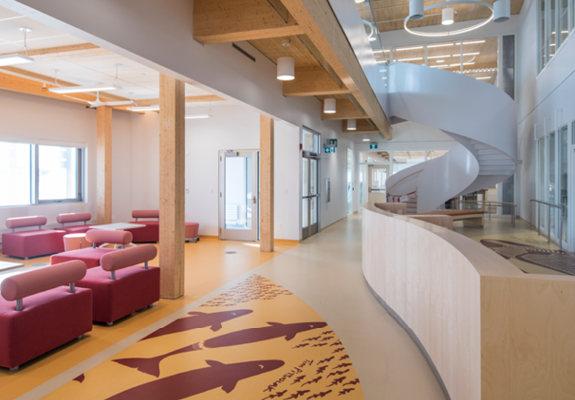 The copper-coloured cladding is a nod to the Copper Inuit, the host community. CHARS is scheduled for completion in 2018 and the project is aiming for LEED Gold certification.